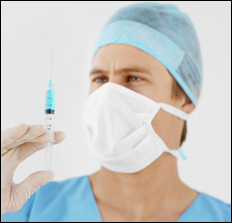 Advantra waste solutions provides collections, transporting and disposal of sharps, medical waste abd . Our vision is clearly focused on delivering quality waste management solutions that respect the environment, ongoing technical innovation, and continuous improvements. Our services includes but not limited to, Medical Waste Disposal, Sharps Management, Paper Recycling and Pharmaceutical Waste Disposal programs that reduce risk and protects the environment. We are committed to helping organizations reduce their cost, risk and ensure superior customer service. Our reputation has been built on doing business the right way, treating people fairly, dealing honestly and ethically with customers, suppliers, and working hard to meet or exceed our customer's expectations. Advantra attends to the waste disposal needs of area facilities, such as hospitals, physician offices, dentist offices, nursing homes, clinics, medical laboratories, funeral homes, veterinarian offices, blood banks, infirmaries and hospices. Our service techs collects, transports, and disposes of medical waste, according to Department of Transportation (DOT), and Environmental Protection Agencies guidelines (EPA) standards. We aim to provide the best service for our customer's. Our goal is to work with our customers to establish an understanding of their individual waste management needs. With this clearly established, we will offer our advice on the most effective course of action for your unique situation to assist in the implementation of the right plan and to establish a positive long-term relationship.